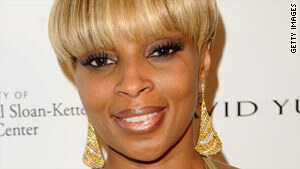 Singer Mary J. Blige's Foundation for the Advancement of Women Now is working with NASA. (CNN) -- NASA said Wednesday that it is collaborating with recording artist Mary J. Blige to encourage girls and young women to pursue careers by studying science, technology, engineering and mathematics -- collectively known as STEM. A public service announcement featuring shuttle astronaut Leland Melvin and Blige will begin running this week on NASA TV and on the agency's website. The campaign is part of NASA's Summer of Innovation program, which also is working with Blige's Foundation for the Advancement of Women Now, the space agency said. The NASA program, part of the president's Educate to Innovate Campaign, started this summer with the aim of engaging middle school students in science-related activities during the summer break. Working with Blige's foundation provides "a rare opportunity" for it to reach "communities not always readily accessible to us," Melvin said in a news release. "Mary's presence can help NASA make the STEM message more appealing to these communities and increase the pipeline of underrepresented students going into these disciplines," he said. High school participants in Blige's foundation are working with the NASA Science, Engineering, Mathematics and Aerospace Academy project at York College of the City University of New York, the space agency said. In addition to being prepared to deliver NASA content to middle school students this summer, they will have the opportunity to support the NASA academy's fall academic session as student aides for grades one through nine, it said.